Charming sculpture in bronze of a junior Highland cow standing by master animal sculptor Veronica Ballan, from the Frith collection. This iconic cattle breed originated in the Highlands of western Scotland as long ago as the 6th century and they are perfectly adapted to the harsh climate, strong winds, heavy rainfall and poor grazing of the hills and mountains they call home. 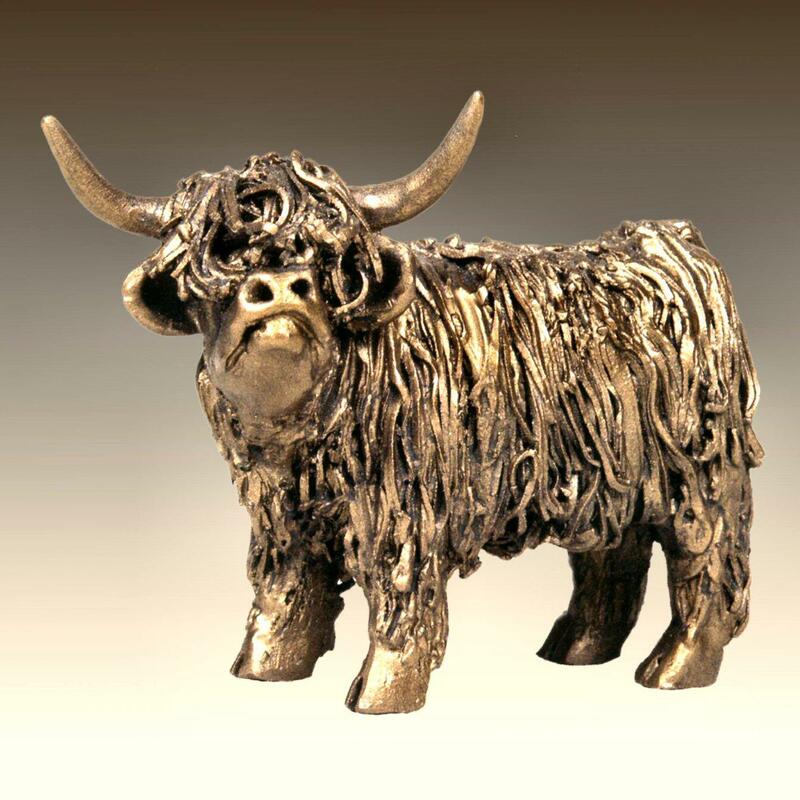 A beautifully crafted sculpture in hand finished, cold cast bronze - a fine and treasured gift, it would be perfect displayed along with one or more of the adult Highlands Bulls or Cows in the Veronica Ballan collection. Supplied securely boxed and packaged.